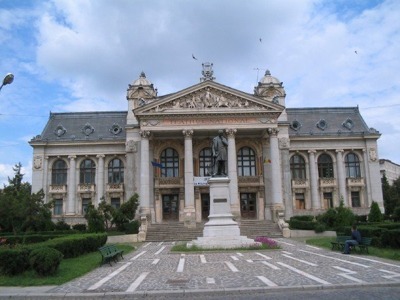 Choosing Romania as your destination for traveling with friends, make sure you devote a couple of days to exploring one of its vast and fascinating cities Iași! With a mind-blowing blend of historical and cultural buildings, with modern entertainment establishments, Iași is excellent for any tourist! It's incredibly rich with sights, yet catches the eye with its nightlife, too. After a full day of visiting the must-sees of the city, choose a club or pub to hang out with friends. La Baza, Cafeneaua Piata Unirii, College Bar, Fratelli, Sotarie, Taverna Music-Pub are worth your time. If you are planning to travel to Iași with your whole group of friends then what you need to do before heading to the city, is to rent a minivan with a driver. Only this way you and your friends can enjoy your tour without worrying about the transportation in this foreign city. 8Rental wants to offer its premium services to all those travelers, who are in search of reliable and secure transport in any major European city. We shall provide you with the best minivan hiring conditions. Among the great diversity of car rental services operating in the industry nowadays, we stand out as a credible and professional one. Besides reasonable van hiring prices, our company is also providing you with fuel as it is all included in the offer!. Booking a van from 8Rental is the best variant to guarantee yourself safe driving in the city. Send us a quote, fill in all your requirements and expectations and we will proceed it immediately! We are available 24/7 for all our clients! Ask your questions, make orders and suggestions through our telephone number, email, fax or Skype. We promise to proceed your order instantly and contact you as soon as possible. Additionally, our customer friendly CS operators will gladly offer you the best minivan to suit your needs. We do our best to achieve a high level of customer satisfaction. Our constant customers rely on us, rent a chauffeur driven minivan in Iași to become one of them! Base your minivan choice on such aspects as the number of passengers that will be driving in it, your preferences, as well as the money you can afford on booking it. We have a suitable car for every client. Is your group a relatively small one composed of only up to eight people? Mercedes Viano will be the perfect choice for you in that case. It is a standard compact van equipped with all necessary specifications one may need during the tour. Hiring this minibus, all of you will have their comfortable seats, reading lights, carpeted floor, tinted windows, audio systems and a series of other specs. The vehicle is in excellent condition and looks stylish. However, for a more luxurious driving in Iași, you can opt for a Mercedes V class van. Just like the previous one, it is designed to accommodate around eight passengers. Anyway, here the passengers will be provided with better amenities. What concerns larger vans, 8Rental is proud to offer its Mercedes Sprinter and Sprinter VIP models. Both are significantly more capacious and can drive up to two dozens of people. 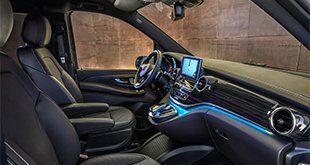 Expect to have a premium audio system, air conditioning, central heating and plenty of other essential specs. 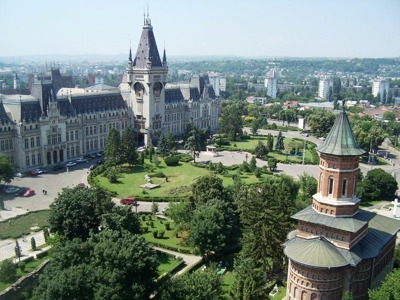 Choose any of them to rent a chauffeured van in Iași from 8Rental and enjoy royal driving in this gorgeous city! 8Rental cooperates exceptionally with professional drivers who can guarantee the safety of their passengers. These are qualified specialists with driving licenses and years of practice in the sphere of passenger transportation. They will take you in the right direction easily being well aware of the city's roads. 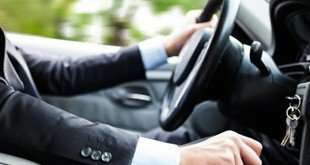 Choose the driver that speaks your language and make your communication with him as productive and pleasant as it is generally possible!